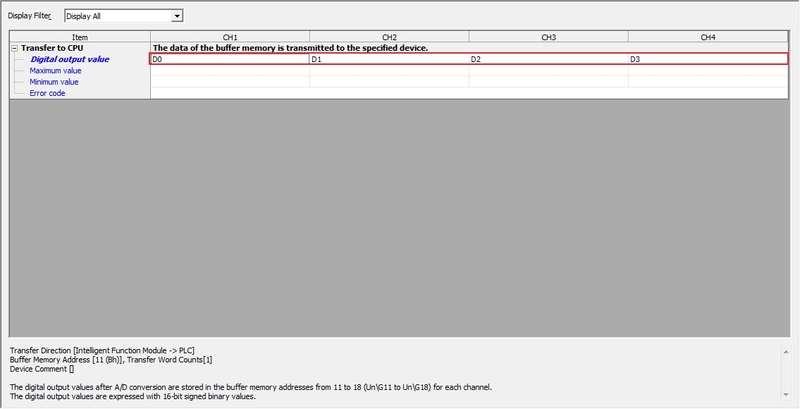 I'm having a hard time looking for an easy way to understand on how to configure a Mitsubishi Q64AD for additional input parameters and how to know how many spare points or channels left. If anyone have experience on this stuff, please reply on this thread. Thanks. @Olyn For quick installation summarize as instructions. 1. 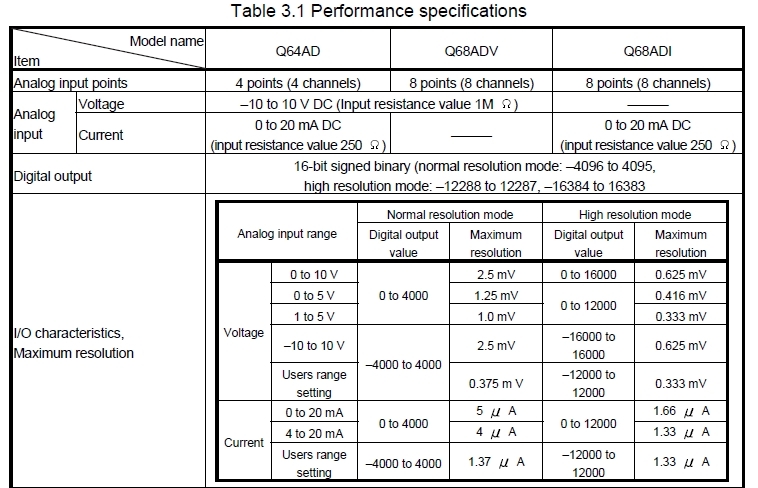 Check at this link below for Q64AD manual. 3. 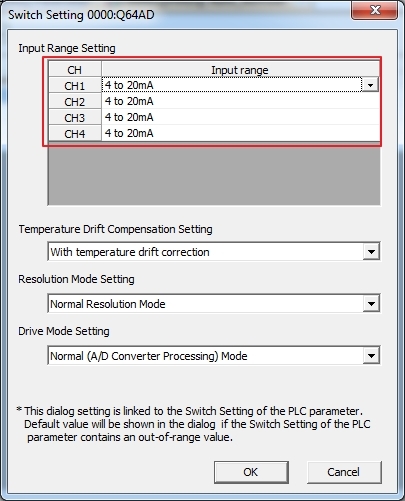 Check at Intelligent Function Module and go to switch setting and adjust input range to match with input type. 5. 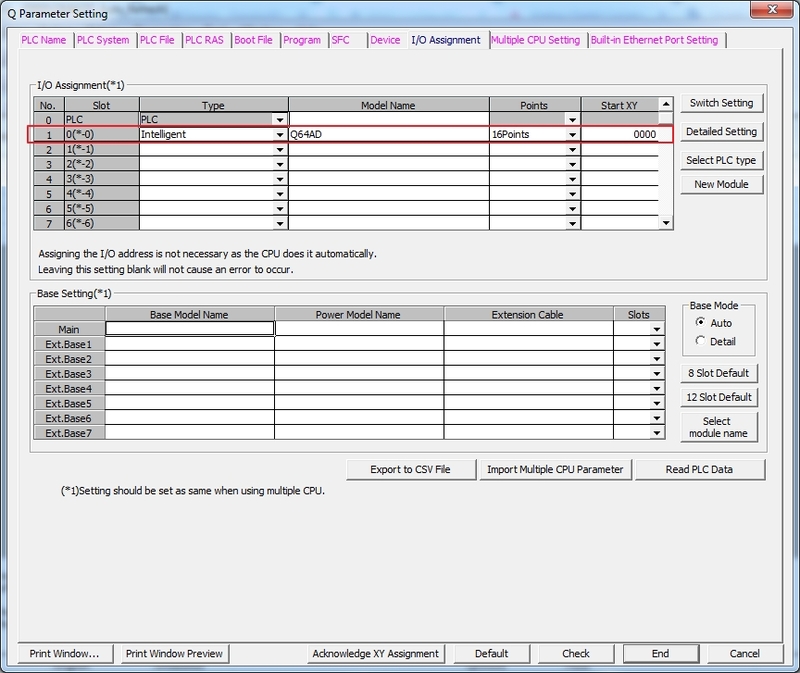 Select Auto_Refresh and put data device that need to receive analog input value in Digital output value for each channel.